The first thing that I wan to discuss is the shop, located on 3479 Orange Grove Ave in North Highlands is near a Walmart store and has easy access to the freeway, so it’s a snap to get too, as long as you can avoid the Sacramento traffic and with construction going on on the freeways in that area is easier said than done. The shop it’s self is quite nice and spacious, it has some leather couches and is overall quite clean and open. It’s less “packed” than most gun shops I’ve been in and they do not have what I would call a huge selection of firearms for sale, but they do have a good selection. A couple or 3 display cases of handguns and a couple wall racks of rifles, mostly things of the “tactical” nature. I didn’t see any nice wooden stocked hunting rifles, or a large selection of over under shotguns, but I don’t think that is their market. They also don’t have a huge selection of gear, they have the basics for rifles and some basic optics, but you probably wont want to go there to get a new t-shirt or the latest tactical pants. They did have a nice selection of EOTech and other “tactical” style optics, as well as things like night sights for pistols and other assorted CCW/tactical goodies. Another thing the shop had a surprising amount of was ammo and reloading supplies. In California all of those things are generally pretty hard to come by at local shops. They also didn’t have crazy high prices on those items like many shops have these days. One of the things that the shop is doing is loading their own ammunition, they have remanufactured and factory new 9mm, .40 S&W, and .45 ACP and are in the process of getting setup to load .380 Auto and .223/5.56 as well. They are mostly loading with X-Tream Bullets and all of the reloads/new loads I saw looked very nice and clean. I didn’t have the opportunity to fire any of the in-house loads, but they looked nice and the prices were reasonable. So if you’re in Norther California and looking for ammo, you can give them a call. They are also in the business of doing some basic custom gun smithing and have an armorer available when needed. They can do things like custom AR-15 builds as well as sight installations, adjustments, etc. They are also working to expand to be able to do some machining and basic manufacturing in-house. So I would suspect some more custom parts and accessories coming from them in the not to distant future. An important thing I also want to point out is about the staff in the shop; I talked to 3-4 people before they knew that I was there to meet and talk with them about the event and everyone was just as nice before as they were after. No pressure, no BS just nice people. This is something that during more in-depth chatting with staff and customers was reiterated. They are really trying to be a low to no pressure environment, with friendly people, where customer service is paramount. A couple of customers who I talked to both brought up that it is one of the main reasons they like the shop, everyone is friendly and no one is trying to take advantage of them. They always leave happy. 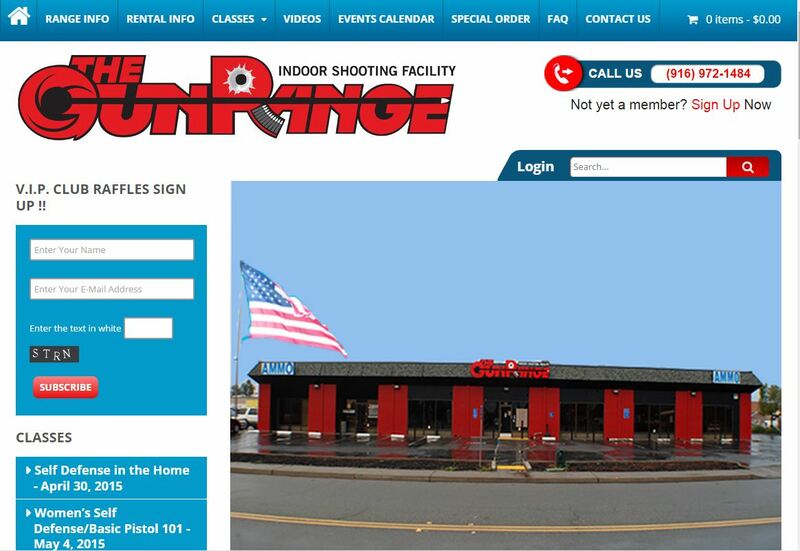 The Gun Range, in fact, does have a gun range… A pretty nice indoor facility that is well taken care of. I’ll be right up front with you on this, I’m not a huge fan of indoor ranges, I don’t like the noise, the proximity to other shooters or the price most indoor ranges charge. 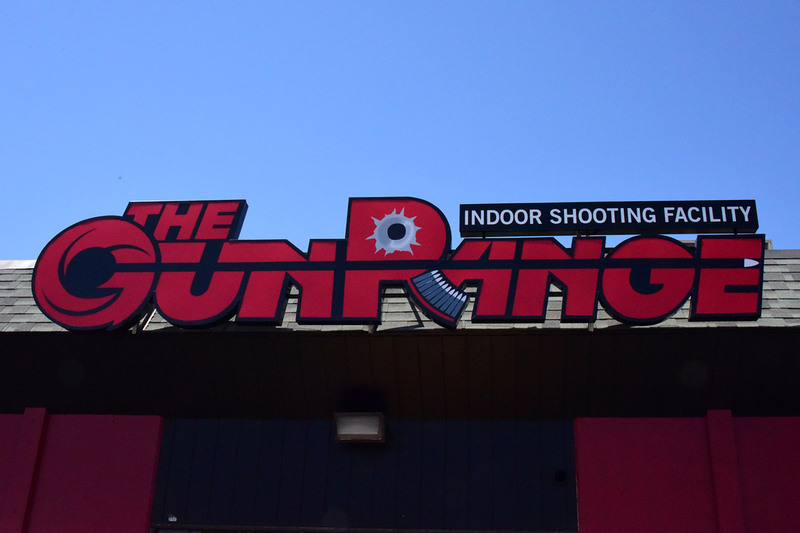 The Gun Range doesn’t have crazy high prices, $17 per person (unlimited time) and you can bring or rent pretty much anything you want. 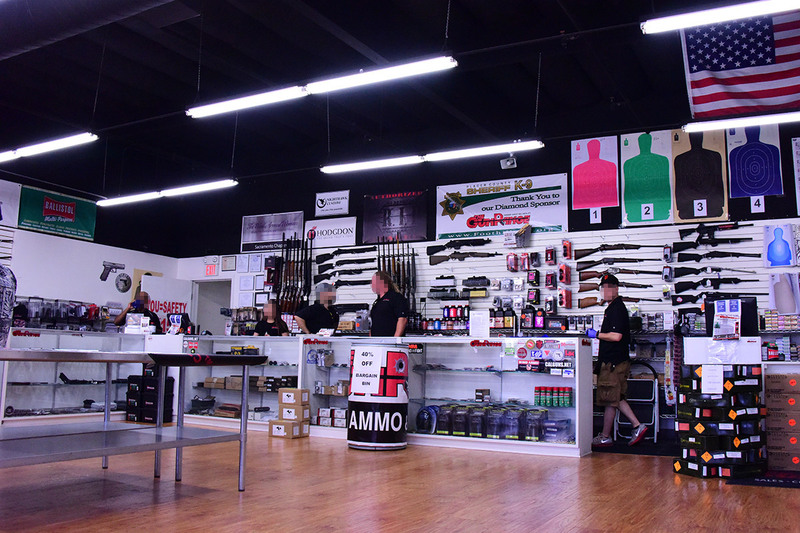 They have a large selection of firearms to rent (pistols, shotguns, rifles), as well as a large selection of targets, etc. The general facility is nice and clean, it’s a nicer indoor range… I’ve been in some places where everything was probably installed in the 70s and hadn’t been touched since, but this is definitely newer and nicer. Bottom line, if you’re in the area and need a place to shoot, it’s a good spot. Good equipment, lots of options, and well taken care of. I just prefer someplace outside and private, but that’s really not an option in a metropolitan area. To reiterate on some of that, I’ve talked with a few friends that shoot at The Gun Range semi-often and they say the same thing, from the customer perspective… It’s a nice place, clean and friendly, but it gets crowded and all of the things about an indoor range apply, noise, smell, and people. But they still go, and only have a bad time when they are not shooting well. The Gun Range offers a pretty wide assortment of training classes, everything from Women’s Self Defense classes all the way to “Welcome to reloading basics.” So they cover a lot of ground. I also made a PDF of their training flyers that you can check out, here. I had the opportunity to chat with a couple of their instructors and they were very nice and personable people. They seemed to really like the shooting sports and enjoyed training. I didn’t have the opportunity to actually attend one of the trainings, maybe next time, but they offer a lot of classes that fill up fast. So they must be doing something right! The actual training facility (all part of the same building as the shop, etc.) is quite large, with a private dedicated smaller indoor range and multiple classrooms available. They are also in the process of expanding their classroom space a bit, but they have a nice clean environment for classes with large projectors and all the works. At the Vendors Days (or Open House that I’m calling it) they had a few vendors on site, the ones of note were I.O. Inc, Sig Sauer, Friends of the NRA, and The Well Armed Woman. I.O. 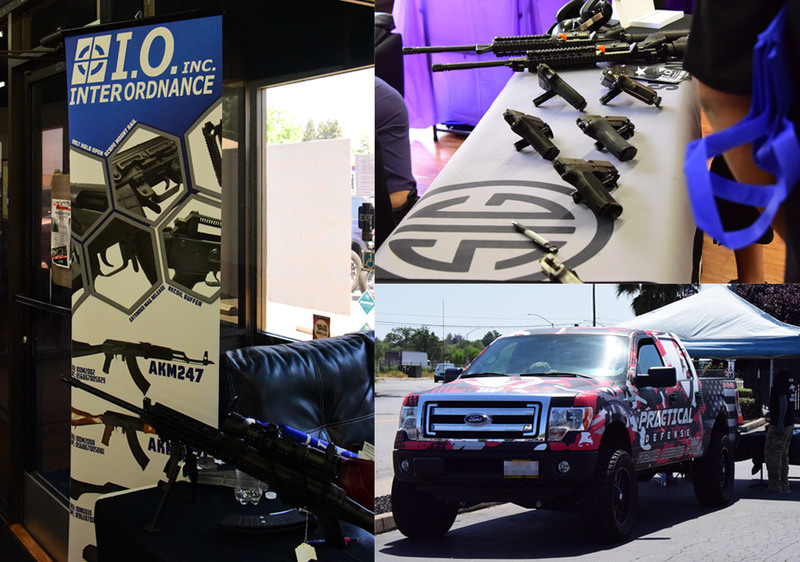 Inc was there showing off their California legal AK-47 pattern rifles. They were doing shooting demos and allowing people to test fire rifles. There was a good showing and a lot of people trying out guns. In chatting with the folks at IO, they said business has been good and AK rifles have been big sellers across the US. It hasn’t caught on as much in CA, but it’s picking up. If you are in the area and want to check out an AK, stop by The Gun Range and check out the IO rifles. Sig Sauer was there, showing off a lot of their Sig pistols, presumably the ones that are still available for sale in California. As well as some of their AR-15 models. They were also doing demos and allowing people to test fire their guns. The Gun Range has been working closely with Sig to increase customer support when needed and to get access to many Sig firearms, so they have a pretty wide selection of Sigs available at the shop. The Well Armed Woman was another group that was at the shop; this isn’t a group I had heard of before, but in talking with the 3 very nice ladies that were at the booth, I got a bit of information… They are a group (this is the Sacramento chapter) of women who’s primary goal is “to educate, equip and empower women” in the defense and firearms world. This isn’t some crazy feminist group, but a good group of women who like to shoot. The group does training and introduction classes to help bring women into the shooting sports world. They host events at The Gun Range taking advantage of the classrooms and private range. So if you’re a Woman looking to get into shooting, or looking for friends to shoot with, definitely check them out. The trainer for the group is also a very nice lady so if you’ve wanted to learn to shoot or take some classes to learn to shoot better they could have something that would be a good fit for you. The group is rapidly growing, with 60+ current members in Sacramento County and they have free meetings to check it out. If you want to join the group, it’s $50/year. The Gun Range is a really nice facility, with nice people and a lot of stuff going on. They have good selection of handguns, some AR/AK rifles, and some tactical shotguns. They have a good shooting facility and a good range of classes. They are trying to help people become better shooters, better educated in the shooting sports and empowering people to be able to defend them selves at home and on the go. Everything I saw at The Gun Range was on the up and up, and everyone was out to provide a good experience for customers. They have linked up with groups and manufacturers to streamline the support and sales processes and are working on more and more stuff to bring a lot of services in house. They will be offering more and more services as time goes on and I’m sure improving on what they already do well. 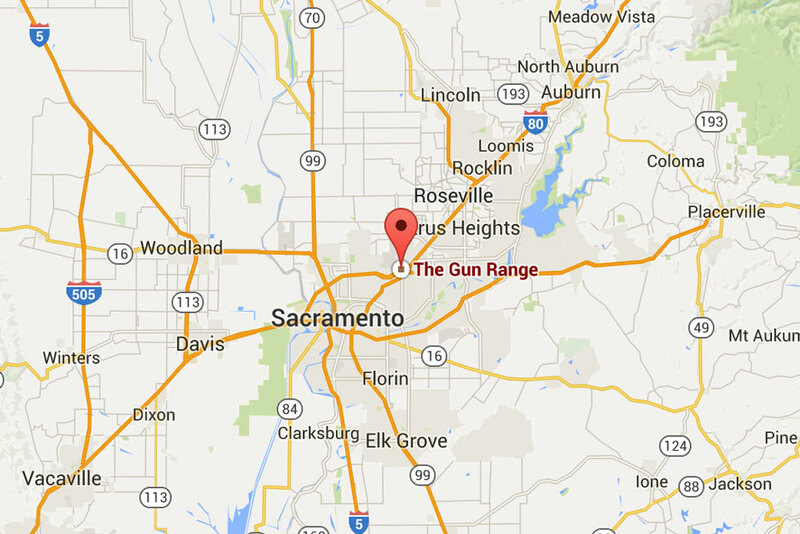 If you’re in the Sacramento area, definitely swing by and check them out, take some classes and become a better firearms owner. This state needs more people involved in shooting and The Gun Range is a good place to get started.